New sewists are often thrown tons of cryptic terminology when they begin sewing; at some point it sort of all sounds the same! I am here to solve the mystery of these three similar-sounding terms: edgestitching, topstitching, and understitching. First and foremost, say hello to your new best friend—the edgestitch foot. This little guy is a godsend for any sewist who wants consistently straight stitches. On the edgestitch foot, there is a blunt blade in the center of the foot that acts as a bumper while sewing. 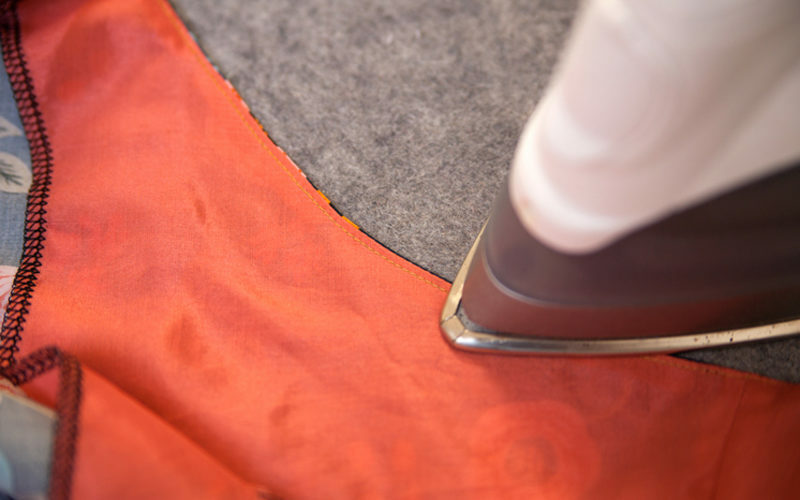 To use the edgestitch foot, align the edge of your seamline or fabric edge to the blade, move your needle position to the desired width away from the center blade, and stitch away! 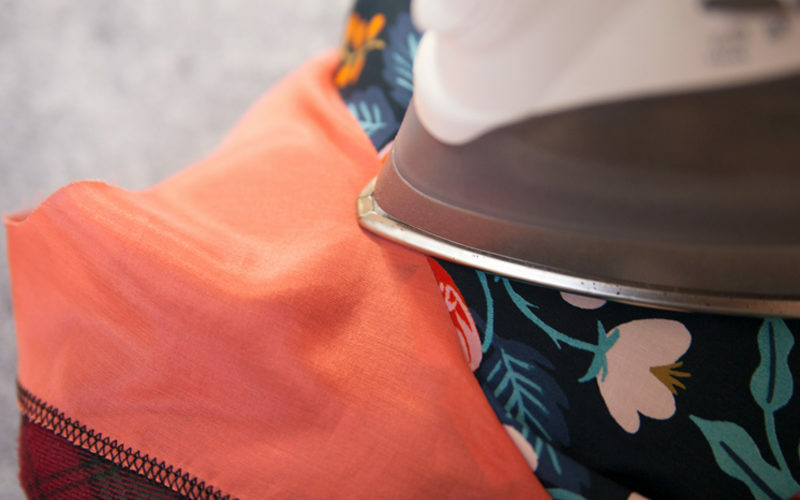 The key is to keep your fabric edge aligned with the center blade while sewing. If you do not have an edgestitch foot, you can still accomplish all of the following types of stitching. All it takes is some determination and a good eye. 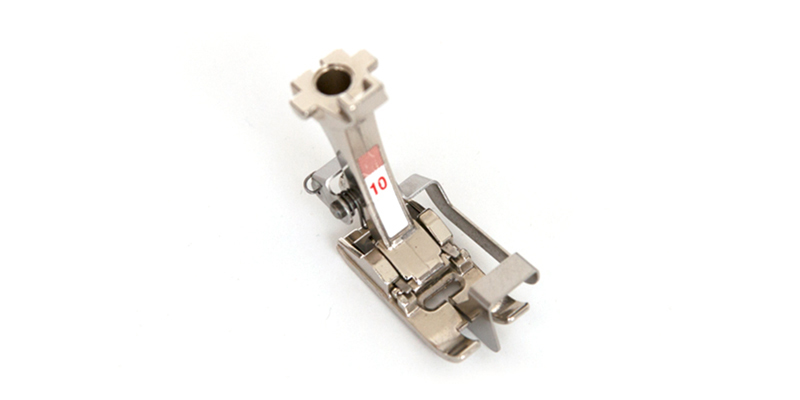 Other presser feet do have edgestitching aids, check your machine manual for individualized instructions. Topstitching and edgestitching are both visible on the right side of the garment. They are both decorative as well as functional. For example, a patch pocket is usually attached to a garment with a topstitch. In this instance, the stitching secures the pocket in place and also highlights the style lines of the pocket with an outline. There are two key differences between edgestitching and topstitching: distance from edge and stitch length. Edgestitching is traditionally sewn between 1/8″ and 3/8″ away from an edge at a regular stitch length. This narrow stitching is used on waistbands, necklines, binding, and anywhere a garment needs subtle stitching. Sometimes it is just decorative and other times is vital to keep the garment together and seams from shifting. Side note: Understitching is an edgestitch due to its proximity to the seam, yet edgestitching is not necessarily understitching. So nerdy, I know. Topstitching is sewn 1/4″ away from an edge, and the stitch length is set slightly longer than the stitch length used for the rest of the garment. In the photo above, the lower stitching has a slightly longer stitch length than the upper stitching, which you can see, helps the stitching stand out. You may also choose to use topstitching thread, which is thicker and is designed to contrast with the outer fabric of a garment. 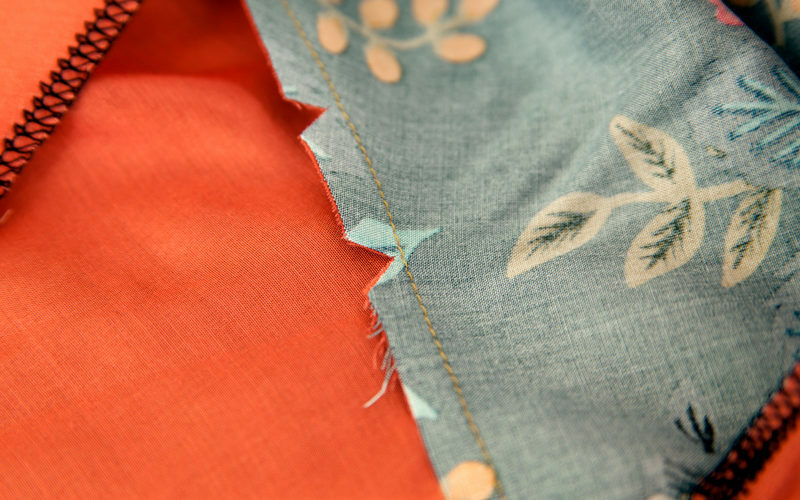 Understitching is a row of machine stitching along the edge of a seam that sews the two trimmed seam allowances to the facing. 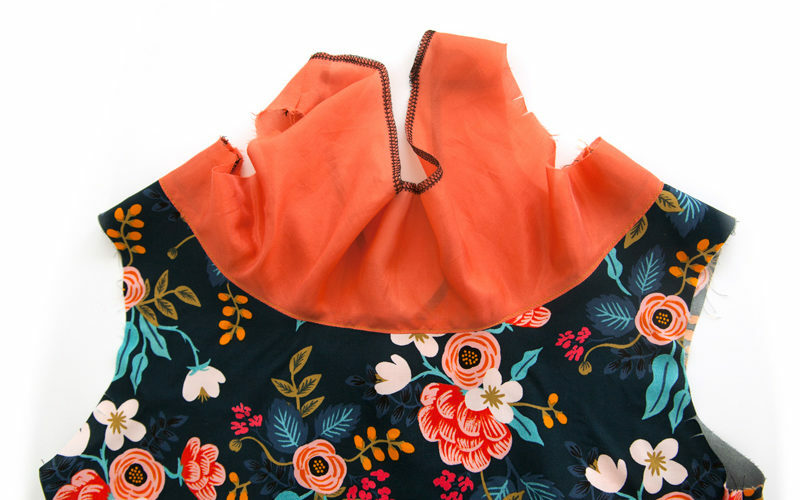 This technique prevents edges from rolling out, curling, and showing on the right side of the garment. Understitching is most often seen on the inside of the garment along necklines, faced edges around armholes, under lapels, or under collars and cuffs. 1.) Stitch the two pieces together with right sides facing, following the pattern’s seam allowance. 2.) Once the seam has been stitched, trim the seam allowance and clip or notch any curves. 3.) 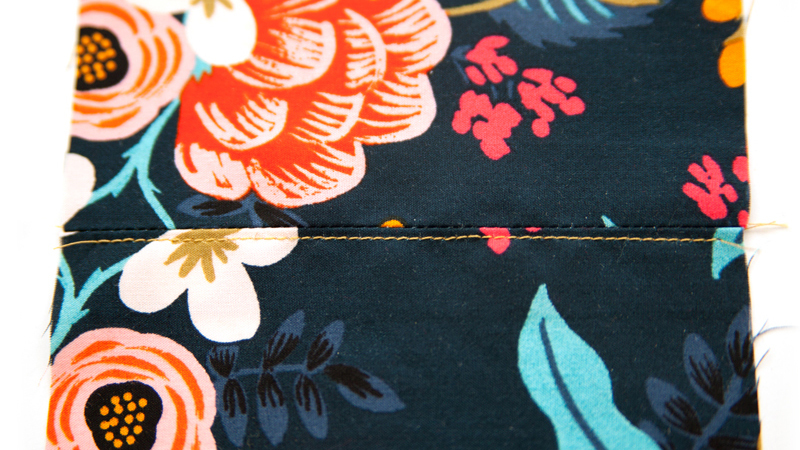 Press the seam allowance toward the facing or lining. 4.) 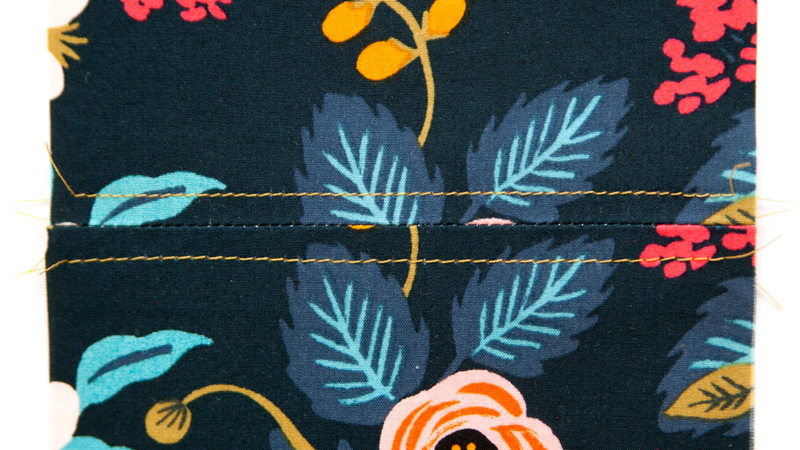 Stitch between 1/8″ to 1/4″ away from the seam line on the facing. Align the blade of the edgestitch foot with the well of the seam. 5.) Continue stitching along the seam line. 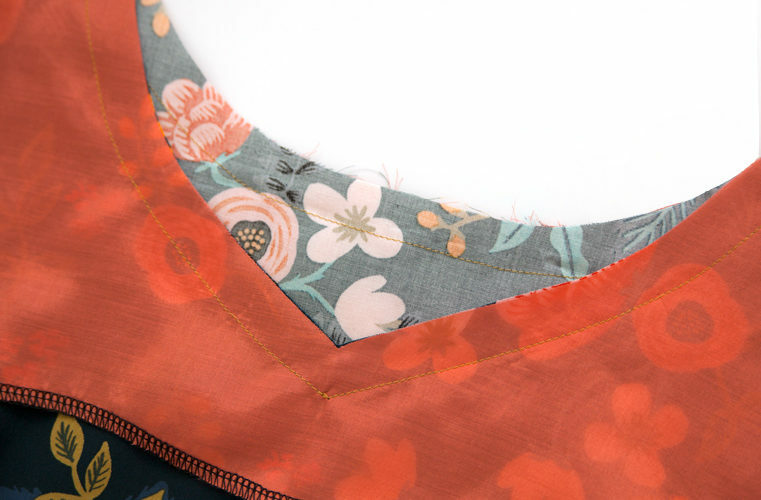 In certain circumstances, the entire seam may not be able to be understitched due to the neckline shape or variations in closures. 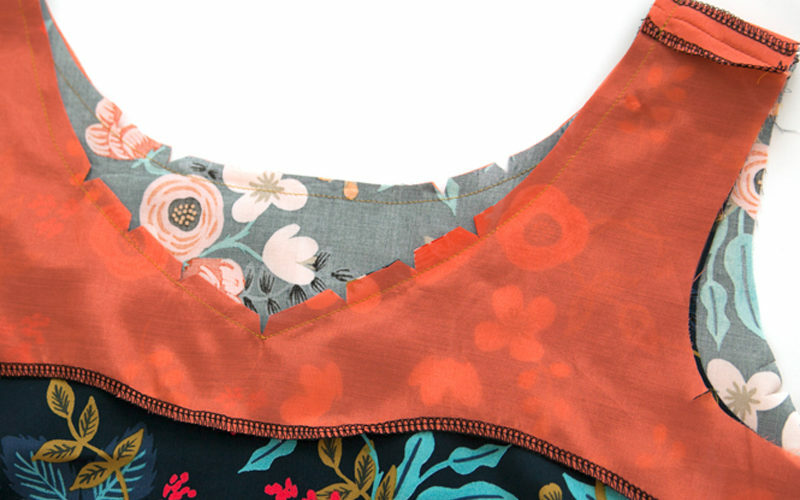 See your pattern’s instructions for where to start and end your understitching. 6.) Press the facing toward the inside of the garment. Your facing will now lay flat with a crisp edge, preventing it from rolling out of place. I always forget to do understitching and almost never do patterns remind us to do it but it does make such a huge difference in keeping that pesky facing in place :) I didn’t really understand the difference between topstitching and edgestitching really – they seemed (no pun intended!) the same to me. Thank you for this great post. I just LOVE your example on understitching and edgestitching. Brilliant colour and so neatly done. The insides of my garments hardly ever look so neat! I think the only difference is that the term understitching is used when you do not want the stitching to show because understitching’s purpose is utilitarian. Edgestitchibg on the other hand may show, because it is not specifically for used for the same, very focused purpose. So the length of the stitch, thread used, placement from the edge, etc. may be the same, but the purpose of each is well defined. Often in the big four patterns you will see a notation to understitch when adding a facing, but no other specifics directions as to how and where to do it – the instruction applies to the facing you have just put in. They assume you know the purpose and just go with the shorthand. Other times they give more instruction, I find it all depends on the pattern and how much room they have allotted for spelling things out, or not. Easy to follow and the pics are great. Thanks for putting this together! Thank you. 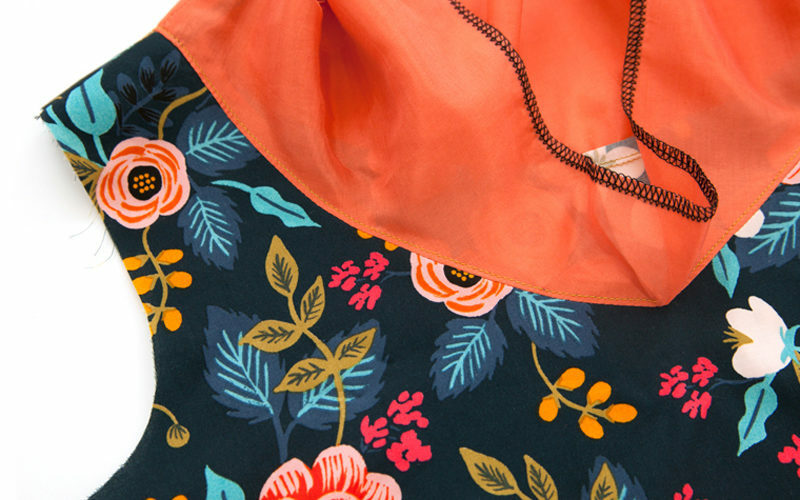 Its this details that make a garment shine. I also reviewed your topstitching tutorial (fyi the links above don’t work) and still have a question. What do you do with thread ends since you don”t backstitch? Thanks. I’m fairly new to sewing but right at the beginning I saw the tip to leave enough thread to thread a needle and ‘pull’ it through to the wrong side and pull up snug and snip hey presto the end disappears. If there’s two layers the thread end is between the two. This was hard to word hope it makes sense?? I realise you asked about what to do with the threads with no backstitching but if you didn’t want to backstitch (?) you could secure the ends using this method also. It annoys me that RTW clothing often has thread ends. In this case the threads may be short but if you put the needle in first close by it can be threaded with quite a short end. I think this makes so much difference to the neatness of a garment. hth :) btw I’m pretty stoked to actually have something to share with all you clever creative ones. Thank you. This makes perfect sense. 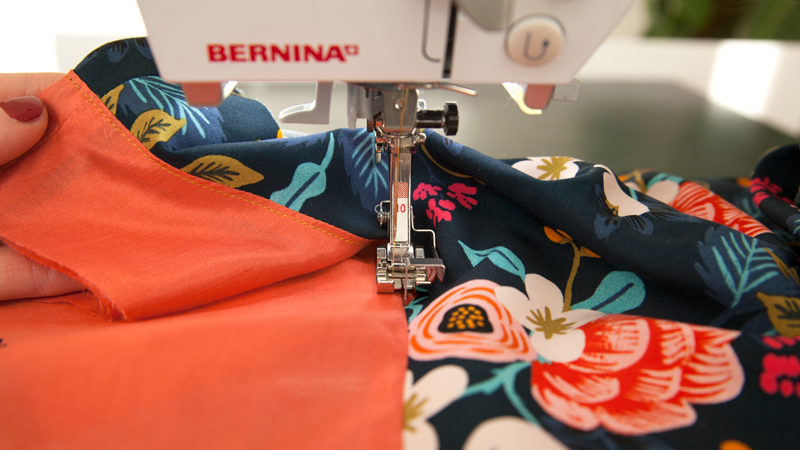 Thank you for catching the bug in the Bernina post link above. It’s all fixed now! Terrific article! Thanks for the very clear information. You all keep posting these articles and I’m gonna come out a sewer yet. I’m learning what all these feel I have do and that they make my sewing life easier. Now I just need to be able to carve out more sewing time. Thank you! I may be wrong, but I believe a stitch in the ditch foot (which is what I have) is another name for an edgestitch foot. i’ve used it for topstitching and it works beautifully. You’re correct. Depending on the machine manufacturer, there may be different feet for edgestitching and stitching in the ditch. But, the Bernina #10 foot is used for stitching in the ditch as well as edgestitching. Even though I’m an experienced seamstress I always like these reminders for when I want a really finished look. 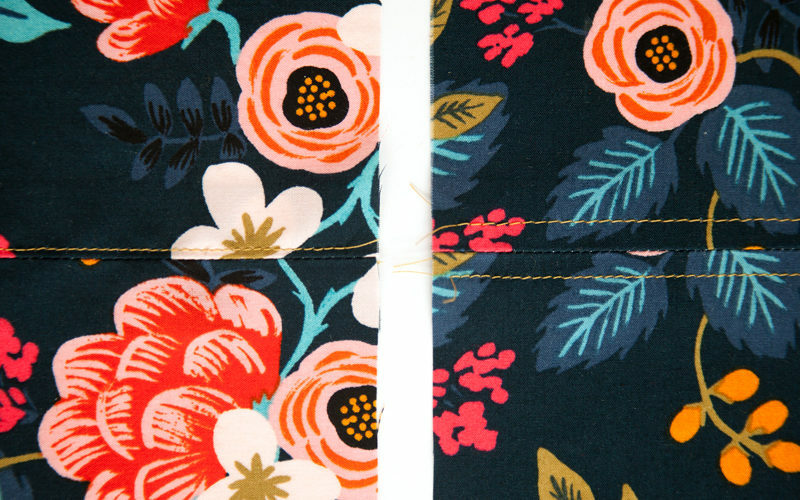 Also, that flower fabric is beautiful! Any recollection what it is? Lissa, That is a rayon from the new collection from Cotton and Steel and Rifle Paper Company. They have some beautiful fabrics if you want to check them out! In my day, before this great presserfoot, my guide for top stitching were my eyes. Tried to avoid it. LOL. 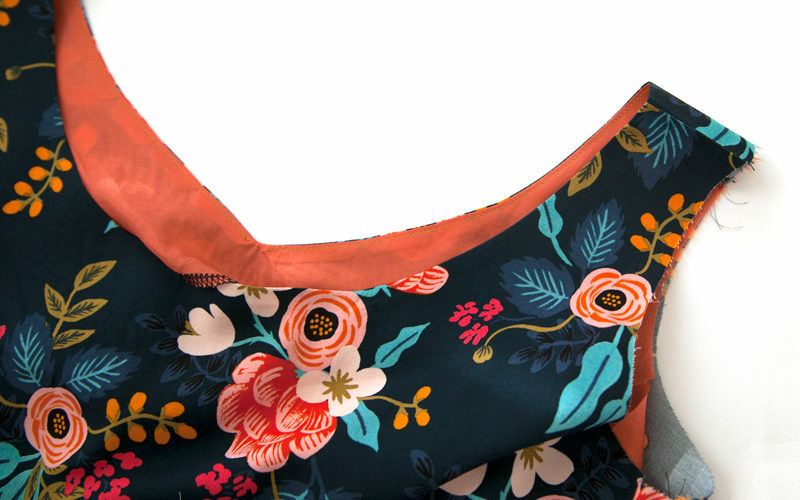 We would hand stitch the inner facing to the shoulder seams so it wouldn’t show and stay in place. I remember hand stitching the topstiching. Often we would cut the width of the interfacing wider than the pattern so it would lay flatter underneath. We often would use decorative pieces (lace, rickrack, or cording) on our topstiching path to hide uneven stitching! You gave Excellent instructions. Thank you. Lovely clear explanation with attractive illustrations. Many thanks. Shame my understitching never looks that neat! Thank you for clear, simple instructions. Beautiful material! Love it! Great tutorial! Can I ask what pattern you are making? Thanks for a helpful article. I must try and use edgestitching more often; it looks so good! I also did not used to understitch, but it makes such a difference that I now always do it when I have a facing or lining. 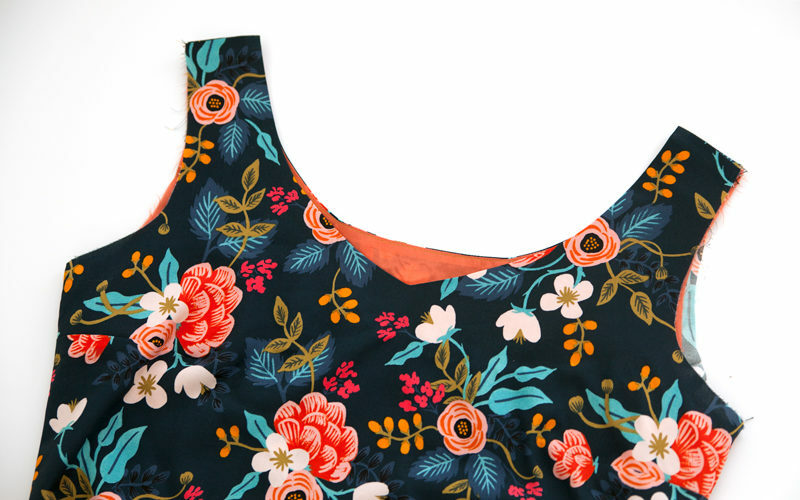 I do find it difficult, though, where there is a sleeveless armhole which makes a narrow shoulder – you just can’t the machine in to get all the way round!